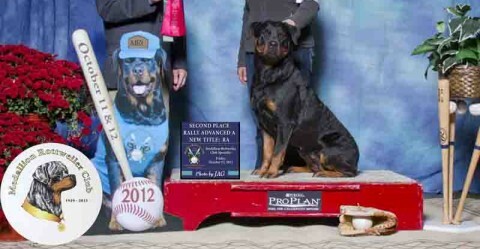 Summer took BOS at the Chain O’ Lakes show! Happy day! 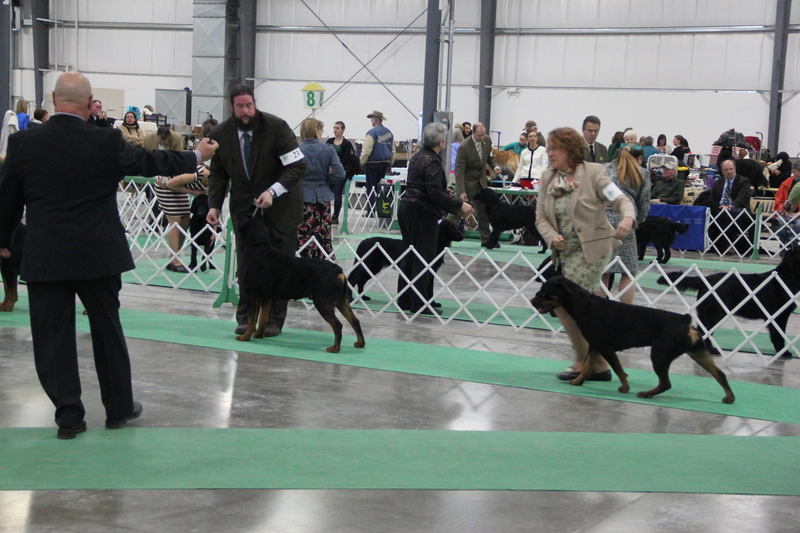 Summer received a Best of Opposite award from Judge Chuck Winslow at the Chain O’ Lakes show on Sunday 1/26/14! 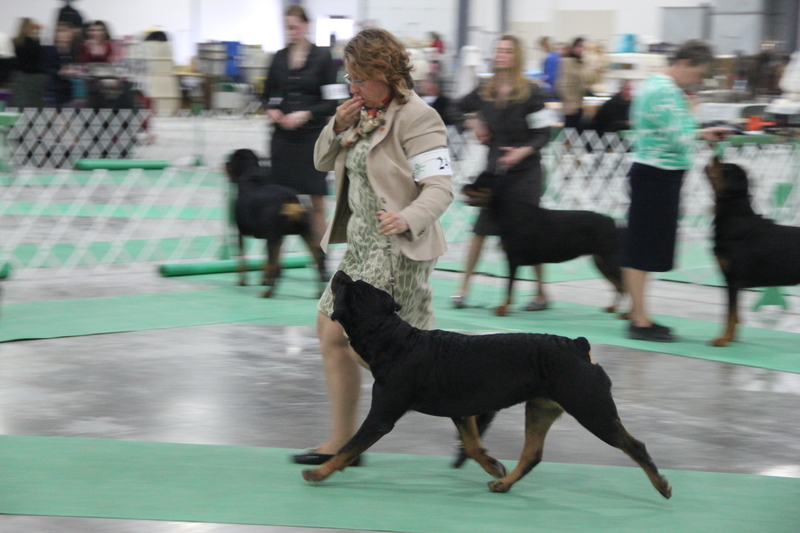 The show time was one of those very rare days where Rotties were scheduled to show in the afternoon. We had the entire morning to relax and groom before the show. I really took time to polish Summer’s coat, toes, and face. I thought this show was set for a major for girls if we got the Select and all we need to complete her GCH is a 3pt major and 1 pt. This really was the best Summer and I have shown. I was so determined to get that Select. 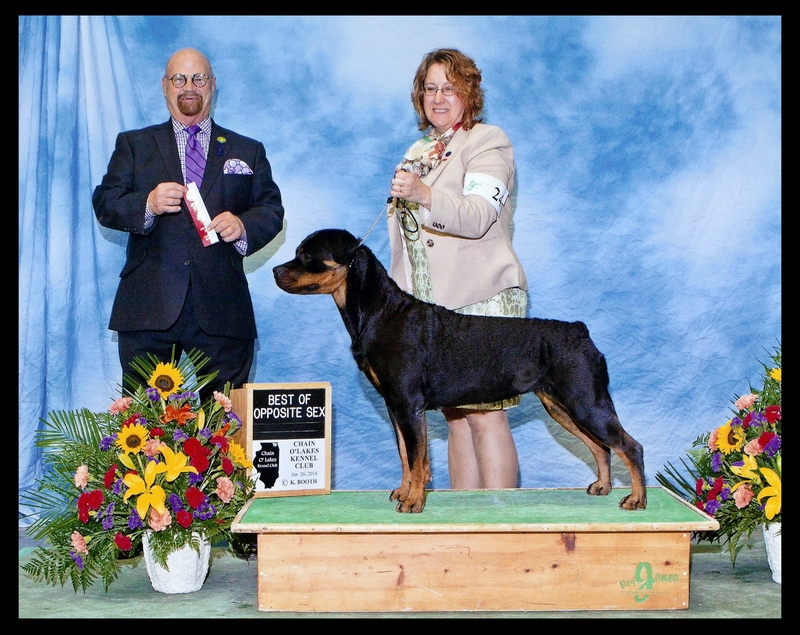 I just want to get Summer’s GCH title! 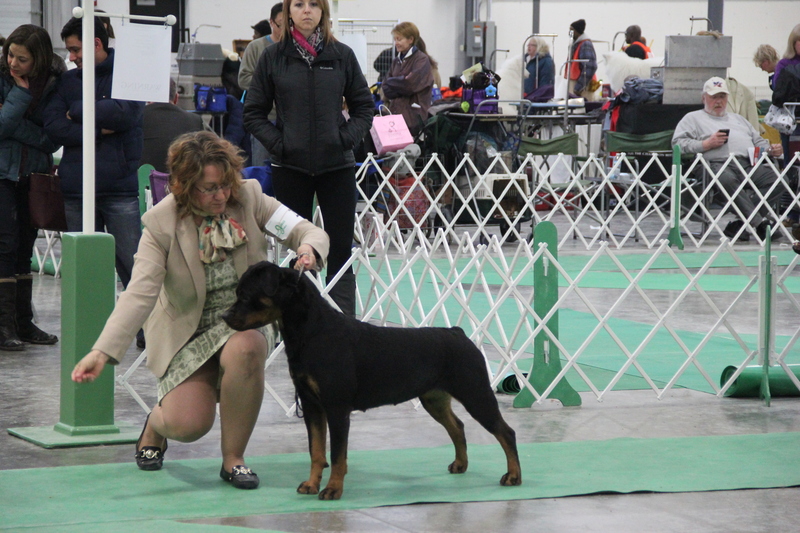 I can’t complain really…I have only been showing Summer in the Breed ring for a year. She’s done amazing. Many people show years to get a title. Best of Opposite – Chain O’ Lakes Show 1/26/14. Just one more pt for a GCH! 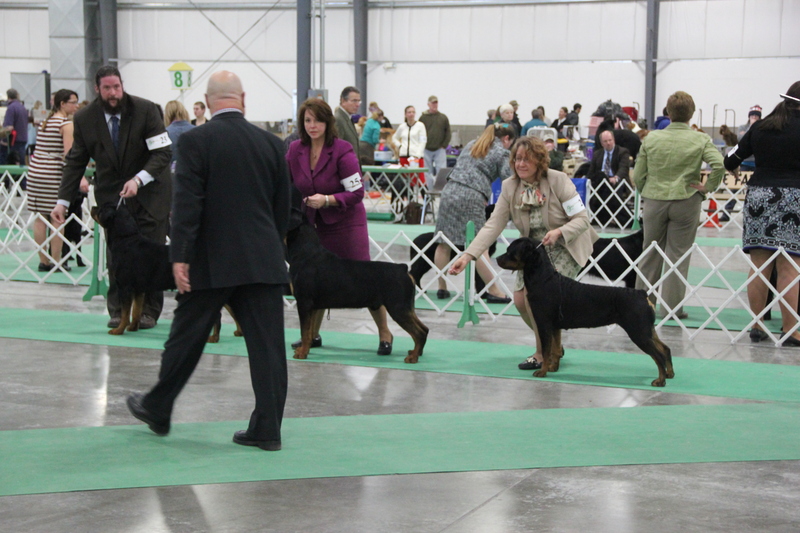 Here is Summer waiting for her judging. She was such a good girl! I just free stacked her, which is a natural stand without me putting her feet in place, and then knelt by her side to show off her pretty head. The down and back…I love Summer’s stride! She reaches from the tip of her from toe to the very hind end paw. Final judging and we are waiting as the judge takes one last look at the dogs to determine who gets a ribbon. …and then the judge pointing at us! I was so thrilled! My little girl did awesome and made me proud! As we got in line, the judge handed me a white and red ribbon. It looked odd to me, not like the other selects I had seen the in past. I figured they must have changed the color. Everyone was so kind congratulating me and Summer. I was glowing and so happy we got our major! And then, my husband makes his way to my side and hugs me. He said “Congratulations on Best of Opposite!”…I nearly fainted!